Olivia Mehaffey fired a two under 70 to lead the Irish after the first day of the European Ladies Amateur Championship in Sweden. The Royal County Down Ladies’ star began day two tied for 14th place, six shots behind Belgium’s Diane Baillieux. GB&I Curtis Cup player Bronte Law finished a shot off the lead on 65 with Norway’s Stina Resen is only one shot further back after a 66. Lisa Maguire (Slieve Russell)shot a 72 to share 33rd place with Jessica Ross (Clandeboye) a further two shots back after a 74 and Castletroy’s Chloe Ryan finished with a 77. The top 60 and ties after tomorrow’s third round will make the 54 hole cut. 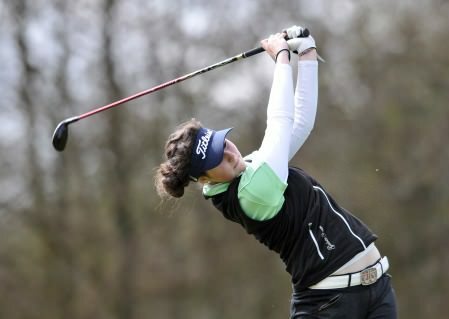 Royal County Down Ladies’ Olivia Mehaffey finished sixth in the Scottish Amateur Open Strokeplay at Troon. Picture Pat Cashman/www.cashmanphotography.ieTeenage sensation Olivia Mehaffey took a giant step towards a call up for Junior Vagliano Trrophy duty when she finished an impressive sixth in the Helen Holm Scottish Amateur Open at Royal Troon.